Zhejiang Microlift Techonology Co ., Ltd.
Short on time? Let pallet-truck sellers contact you. Ningbo Haomai Machinery Co., Ltd.
Changzhou Linuo Electronic Weighing Apparatus Co., Ltd.
Yonzhi Material Handling Equipment Co., Ltd.
Model-YSDF Capacity: 2000kg, 2500kg, Pump style: df hydraulic pump Fork size: fork width: 550/685mm, fork length: 1150/1220mm Max lifting height: 190/200mm, Lowered height: 75/85mm Steering wheels-nylon, PU, rubber, Loading wehhls: nylon, PU Net weight: 65-70kg, Pacakge size: 2280/2300*570/620*700/720mm Loading quantity: 6 pcs/pallet, 144pcs-180pcs/20' container. Model: TP25A Capacity kg: 2500 Load Center mm: 600 Turning Radius mm: 1608 Max. fork Height mm: 205 Min. fork Height mm: 85 Fork Length mm: 1150 Fork Width mm: 680 Driving Motor v/kw: 24/1.2 Lifting Motor v/kw: 24/0.8 Run Speed (Load/Unload) km/h: 3.6/5.4 Lift Speed ( Load/Unload ) mm/s: 22/32 Lower Speed ( Load/Unload ) mm/s: 50/55 Grade Ability ( Load/Unload ) %: 8/10 Battery v/Ah: 24/210 Charger v/Ah: 24/25 Overall Length mm: 1781 Overall Width mm: 690 Overall Height mm: 1305 Net. Weight kg: 524. 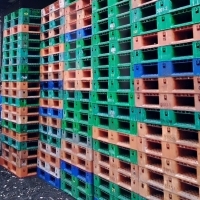 Packed with pallet. 1.Capacity(T):1.5/2.0/2.5/3.0 2.Lifting height:110mm 3.Lower fork height: 85/75/65mm 4.Fork length:1000/1100/1150/1220mm 5.Outer fork width: 550/685mm 6.Steering wheel:¦Õ180*50mm 7.Wheel material: PU or NL 8.Self weight: 73-92kg. 6pcs/package, 180pcs/container(20ft). 1.Capacity(T):1.5/2.0/2.5/3.0 2.Lifting height:110mm 3.Lower fork height: 85/75/65mm 4.Fork length:1150/1220 5.Outer fork width: 550/685mm 6.Steering wheel:¦Õ180*50mm 7.Wheel material: PU or NL 8.Self weight:73-92kg. 6pcs/package, 180pcs/container(20ft).